Waze recently announced that it is now part of the Google Mobile Service (GMS) with preinstall option on mobile devices. This means that the next time you purchase an Android device, it could come with Waze out of the box. Sure, Android devices already comes with the other Google services out of the box, including the ever-popular Google Maps, but soon, users can have another choice of navigation app, which is owned by Google anyway. “The announcement of Waze as a Google Mobile Service is the next step to become a platform that connects communities of citizens with the aim of promoting safer roads. OEMs and carriers now have the ability to help local markets to become connected cities overnight.” – Julie Mossler, Spokesperson from Waze. 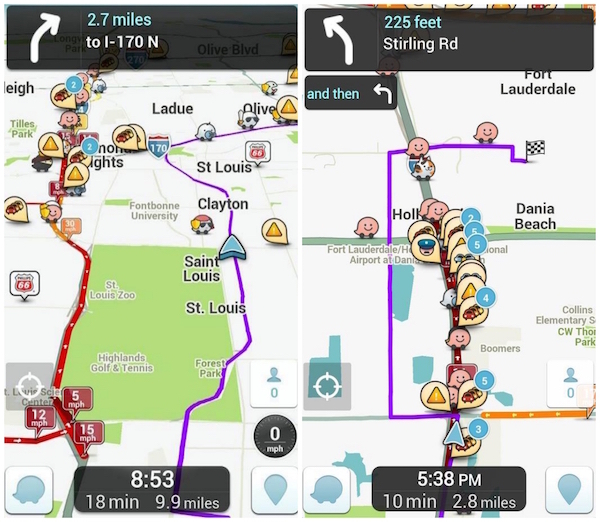 Waze is not your typical navigation app. It is crowd sourced, meaning that its users can provide real-time input like the traffic condition, or of there are roadwork going on, accident up ahead, and such. Shipping devices with Waze out of the box makes a lot of sense for the company because it then means that the app can reach more users, and the more users Waze has, the more accurate its information can be. Google Maps does show traffic incidents reported on Waze, but users of Google Maps are unable to submit incident reports using the app.